Now that Anwar al-Awlaki has been incinerated by Hellfire missiles fired from Predator drones hovering in the Yemeni sky, we’d like to remember the U.S.-born Islamic scholar as an ordinary guy who loved getting fellated by street hookers and enjoyed inspiring wannabe jihadists. Before decamping overseas, al-Awlaki was twice arrested on prostitution charges while living in San Diego. 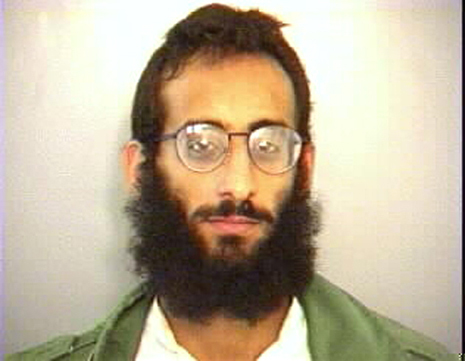 Seen in the above mug shot, al-Awlaki was convicted in both late-90s cases, but avoided jail time. Instead, he was fined, placed on probation, ordered to perform community service, and directed to attend an AIDS education course. Funeral arrangements for the 40-year-old whoremonger have not been announced.